3M Scotch® Filament Tape 899 is polypropylene film reinforced with glass yarns for added strength and extra security for box contents and bundles during shipping and handling. Our specially formulated rubber resin adhesive sticks quickly to metal, plastic and fiberboard. 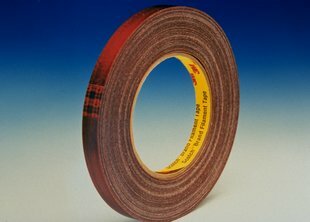 High strength filament reinforced strapping tape is ideal for L-clip box closing applications, reinforcement of five panel folder, full overlap, full telescoping and clamshell corrugated boxes. Synthetic rubber adhesive attaches on contact to fiberboard surfaces for bundling, strapping and reinforcing applications.